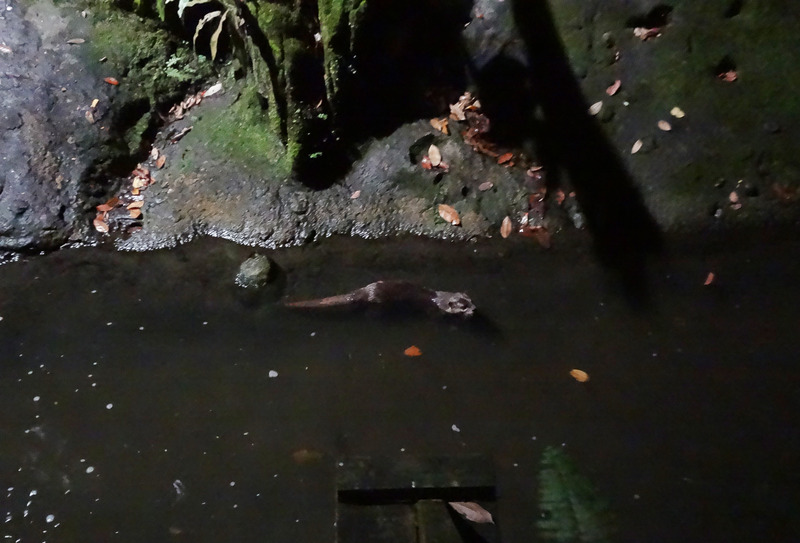 This past Hari Raya Haji, a holiday in Singapore, I went to the Night Safari with a couple of friends. I’m always interested in how cities look at conservation, which to me has the tension of having flora and fauna thrive in their natural habitat and having humans be a non-intrusive witness to them in the hopes that they will be inspired to care for these organisms. No flash allowed, people! 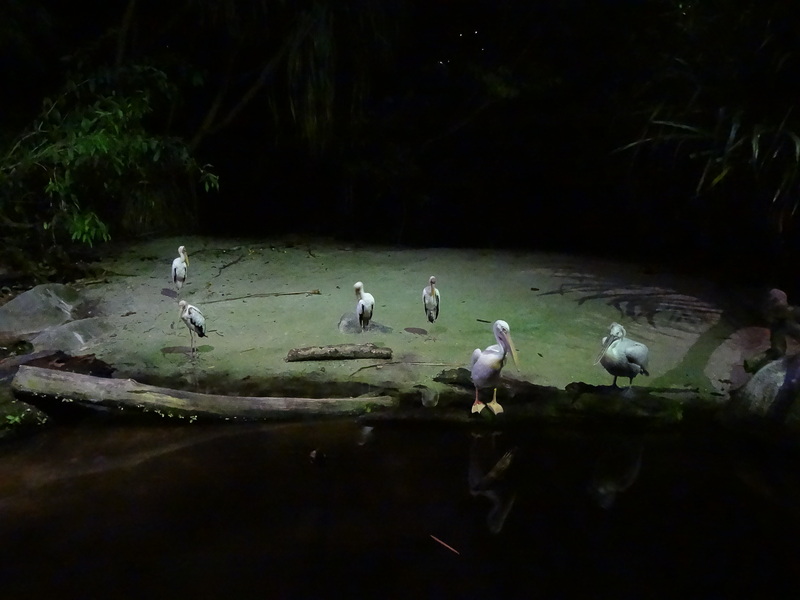 But thanks to the safari’s simulated moonlight, I was able to take some photos. 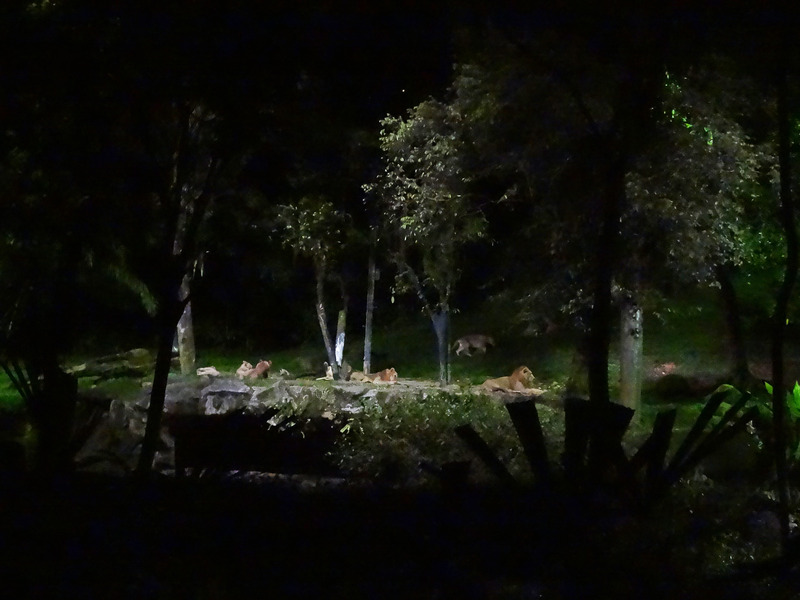 Here’s a pride of lions (siblings, I’m told). I love big cats! 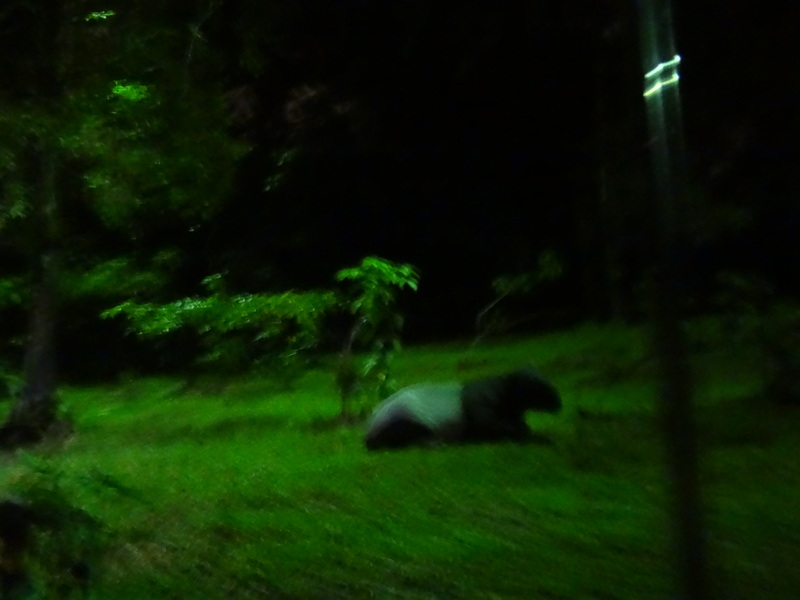 This photo is a bit blurry, but it’s all I have left of my first glimpse of a Malayan tapir. What a beautiful creature!